We know what baby names dominated 2017 (hello Olivia and Atticus), but which ones look set to soar this year? 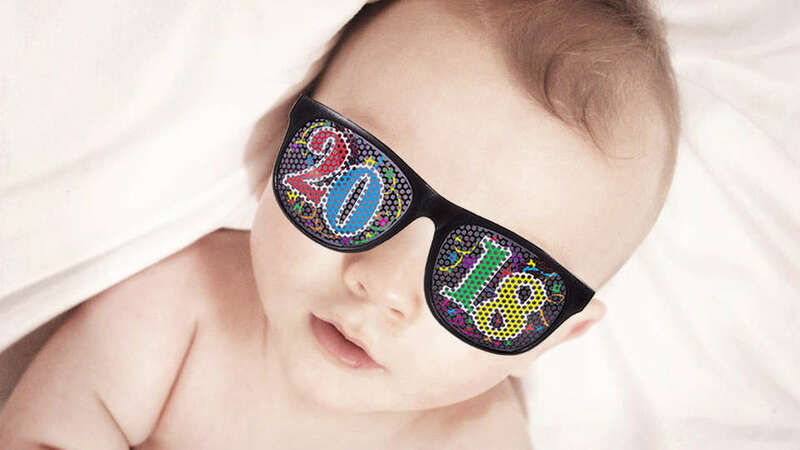 Experts in the baby-guessing game have taken a punt on the titles to tickle 2018’s fancy and let’s just say, they’re very, very interesting. We’re taking them with a grain of salt of course, but here’s some of the top name trends tipped to take over this year. 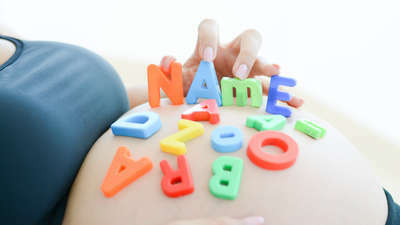 Need a name for your new addition? Look to the stars in 2018! 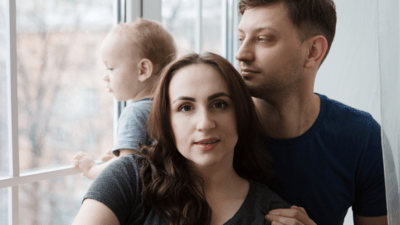 SJ Strum, resident name expert for UK motherhood website ChannelMum, says space-inspired names are the top trend for 2018. Expect the likes of Luna, Stella and Nova for girls and Orion for boys to be rocketing up the charts this year. 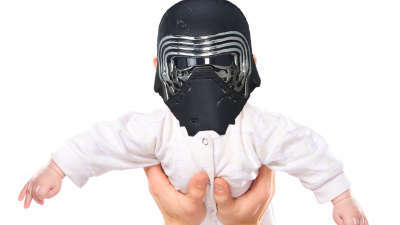 Kylo, named after villain Kylo Ren from the new Star Wars series, has already proven a favourite as the fastest-growing baby name, but US site Nameberry predicts there’s plenty more super-powered names to come. So for girls, why not consider Aurora or Jubilee or Remy (from X-Men), Darcy (Black Scorpion), Harley or Quinn (Suicide Squad), Ivy (Poison Ivy), May (Spider Man), Pepper (Iron Man), and Rey (Star Wars). For the little lads, power up with Bishop (X-Men), Cain (Batgirl), Everett (Captain America), Logan (Wolverine), Odin (Thor), Rhodes (Iron Man), Rocket (Guardians of the Galaxy), Wade (Deadpool) and Walker (Black Scorpion). 2017 was an almighty year for female empowerment (with the Women’s Marches in the US, #MeToo movement and Wonder Woman breaking the box office) and Nameberry predict it'll be reflected with equally strong names this year. They tip the frontrunners to be Eleanor, Margaret, Ruth, Sophia, Matilda, Bridget, Freya and Arya. Hark! Shakespearean names over yonder! 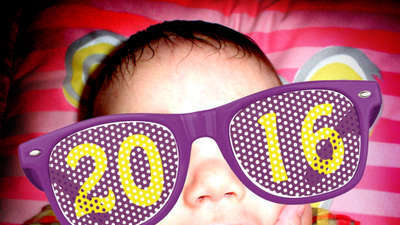 ChannelMum also predicts parents will turn to master playwright William Shakespeare for name inspo this year. Please welcome such classic names as Ophelia, Balthazar, Juno and Oberon to the stage! Names like Frankie and Charlie are already huge for little ladies, but Nameberry foresee even more boy-based names taking off this year. Expect big things for Bertie, Billie, Lennie, Lou, Mattie, Max and Teddie. ChannelMum is also betting on bird names flying high this year. Coming in to land are the likes of Wren, Phoenix, Paloma and even Birdie. Hoot hoot! Everyone loves money and some parents apparently think giving their kids cashed-up monikers will ensure they get more later in life. 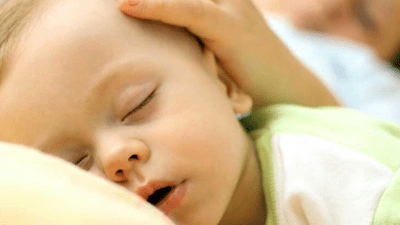 According to ChannelMum, girls’ names like Ottilie (Germanic for riches), Elodie (Germanic for ancient wealth) and boys’ names like Rafferty and Cash will be booming in 2018. No word on Debit (Debi, for short), EFTPOS (Effie) or Bitcoin taking off, sadly. 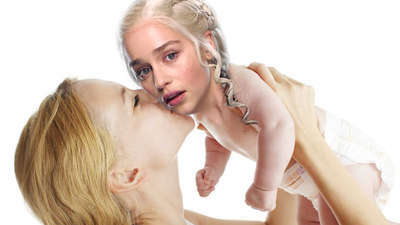 2017’s most popular baby names revealed! Got a little prince or princess on the way? Play our Game of Names! Khaleesi, Maverick and Ryker made the Top 200. Did your favourite? 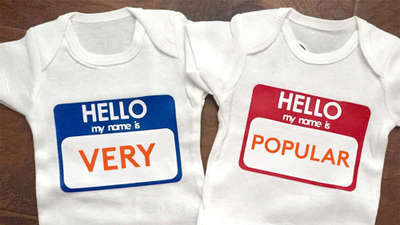 When it comes to naming their babies, parents are turning to the Dark Side.